How is Percocet Abuse Diagnosed? Who is at Risk for Percocet Addiction? 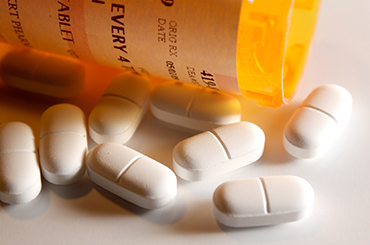 Percocet, a blend of acetaminophen and oxycodone, remains one of the most popular treatments for moderate pain in the United States. Though millions of prescriptions for this drug are written each year, it's powerfully addictive, with 64,000 people admitted to emergency rooms due to the adverse effects of oxycodone each year. As an opiate drug, Percocet is chemically similar to heroin. Though the opiate in Percocet is what gets users addicted, many are unaware that the acetaminophen can also endanger their lives. Though oxycodone is potentially deadly, it is infinitely easier to overdose on acetaminophen, which is a potent liver toxin. Many people who die due to a Percocet overdose are killed by the acetaminophen, not the oxycodone. Medical professionals advise to limit acetaminophen intake to less than 4000mg in a 24 hour period--a number easily ignored when taking multiple pills in excess of prescribed doses. Changes in mood, personality, behavior or goals. An increase in mental or physical health problems. Changes in friendships or social relationships. If you see these signs in yourself or someone you love, don't hesitate to get help. Call our confidential hotline at 1-888-993-3112Who Answers? to get information on Percocet addiction treatment options--take the first step towards recovery today. If you're concerned that you or someone you love might have a Percocet addiction, don't get too caught up in ticking off a list of symptoms. The hallmark of Percocet addiction is continuing to use the drug in spite of negative consequences, such as a losing a job or chronic health issues. Percocet addiction also causes physical and psychological dependence. If you experience withdrawal when you attempt to quit, it's a sure sign you've become an addict. By accepting that you've lost control, you free yourself to seek the treatment you need. Denying your addiction only allows it to get worse. Erodes your mental and physical health. The specific effects you can expect to experience depend on a number of factors, including your lifestyle and overall health. Organ failure, frequent infections and worsening health. Experimenting with other opioids, such as heroin. Damage to your skin, hair, teeth and nails. Nightmares, insomnia, or excessive sleepiness. Percocet is dangerous enough on its own, but when mixed with other drugs--particularly those for which you do not have a medical prescription--it can become truly deadly. Combined with alcohol, Percocet can stop your heart and dangerously slow your breathing. If you have a Percocet addiction, let your doctor know so that she can determine which drugs are safe and avoid prescribing a drug that can cause a fatal overdose. Of course, these risk factors alone won't make you an addict. Anyone using Percocet can potentially become an addict, with recreational users at a higher risk. Though addiction is much more likely with recreational use, prolonged use of this drug, even with a prescription, greatly increases your chances of becoming chemically dependent--the final step on the road to addiction. If you're concerned that you need help to manage a Percocet addiction, don't waste time questioning whether you qualify as an addict. What matters is how Percocet has affected your life. If it is causing you pain, you need and deserve help. Addiction is a disease, not a choice, so there's no shame in reaching out for help when you need it. Doing so can mean the difference between more misery and a chance at redemption. It could even save your life. 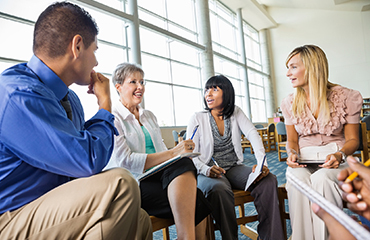 Get Support Narcotics Anonymous offers a 12-step recovery program with meetings throughout the country, at virtually every time of day. Find a meeting for yourself or a loved one. It's common to feel overwhelmed and helpless in the face of a loved one's addiction, but you did not cause his or her addiction, and you can't make it go away. Nevertheless, Percocet tends to make addicts lie, even in the face of contradictory information. Some even steal from their families. Setting clear boundaries about what you will and won't do can help you maintain your sanity even in the face of a loved one's addiction. Sure, it's not easy to refuse to give money or a place to stay, but doing so only makes it easier for the person you love to remain an addict. If you find it difficult to maintain clear boundaries or to cope with the pain of a loved one's addiction, consider seeking help from a family support group. It's easy to fall into hopelessness when you struggle with addiction, but that's your disease talking, not a reflection of reality. Addiction treatment can be successful, and struggling addicts have a wide variety of options at their disposal. Outpatient treatment allows you to continue living at home as you seek recovery services. You can adjust the intensity and frequency to meet your needs, and if you want to try several recovery options, can even blend several different approaches. Partial hospitalization/intensive outpatient programs--these programs, which offer services similar to those available in inpatient rehab, require a significant time commitment. You'll seek treatment during the day, often remaining at the facility for all or most of the day, and then return home during the evening. Therapy allows you to explore what your Percocet addiction offers, and then helps you discover better coping methods that don't endanger your emotional or physical well-being. Narcotics Anonymous and similar programs allow you to work steadily toward recovery with the supportive assistance of other recovering addicts. Detoxing from Percocet is no easy feat, but medical detox can make the process safer and less unpleasant. Most programs are outpatient, but some medical detox programs require an inpatient stay of a week or so. If you're concerned about your ability to get and stay sober, face a stressful home environment, or have a prior history of relapse, inpatient treatment could be your best shot at recovery. In addition to the traditional inpatient recovery program, some facilities now offer additional options for addicts with individual needs. Inpatient treatment helps you get sober using a combination of life skills training, therapy, group work, and medical care. Some facilities also offer classes and holistic wellness training, and a few even help you deepen your religious faith. Luxury rehab programs rely on the traditional rehab model but do so in the context of a resort-like setting. You'll have your own private room, and may get gourmet meals, spa treatments, and plenty of time to relax. Executive programs, which prioritize privacy and comfort, offer you space to meet with business contacts and plenty of access to the services and supplies you need to continue working. These facilities are often flexible about appointment times, which means you can fit in therapy and 12-step meetings when you're not working. Since recovery is easier when you feel validated, you'll have the reassurance of talking to other busy professionals who have faced addiction challenges similar to your own. 80% of teens are under the mistaken assumption that prescription pills are safer than illegal drugs. Percocet use among young people is on the rise, particularly in rural areas where other drugs are hard to access. If you have a Percocet prescription, you should secure your medication and regularly check your pills. Be sure also to discuss the perils of prescription drug abuse with your child, since 80% of teens are under the mistaken assumption that prescription pills are safer than illegal drugs. Percocet addiction is not a behavior problem, so threats and punishments won't work. Indeed, they can even stress your child out so much that continued use seems like the only viable option. Undermine your child's academic success. Seek help now, before the problem gets even worse. If you suspect that your teen is abusing Percocet, call 1-888-993-3112Who Answers? today.